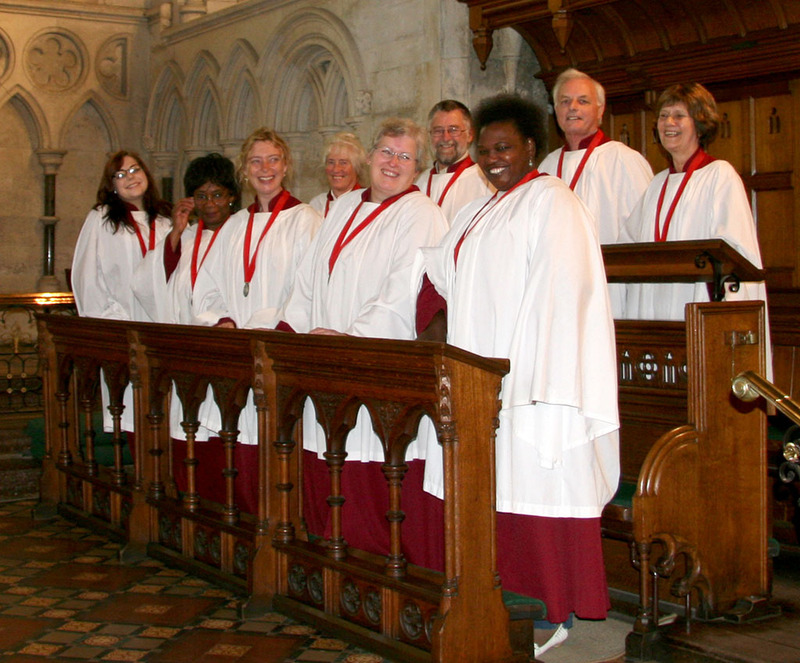 The St Alban's Church choir is a group of singers from a wide range of musical and cultural backgrounds who come together to help lead the congregation in worship. It is run in the tradition of a typical Anglican parish church, where the choir is formed from ordinary members of the congregation who give their time voluntarily. The choir has a mix of musical abilities, ranging from experienced sight-readers through to those who learn by ear, and from strong individual singers to those who just enjoy singing with others. Numbers vary from week to week but the full strength choir is about 16 singers; sopranos, altos, basses and an occassional tenor. As well as helping to lead the congregation in hymns and psalms they sing an anthem during communion each week and lead the singing at special services such as weddings and funerals as required. A highlight each year is the service of Lessons and Carols held just before Christmas. "Bless, O Lord, us thy servants who minister in thy temple. Grant that what we sing with our lips we may believe in our hearts, and what we believe in our hearts we may shew forth in our lives; through Jesus Christ Our Lord. Amen."